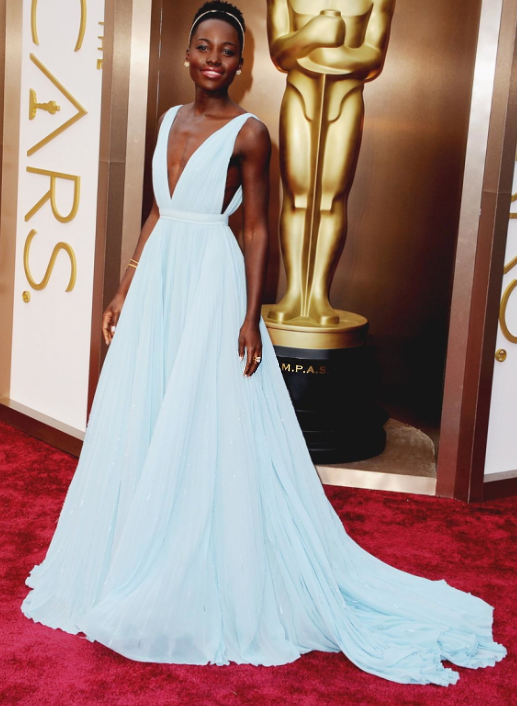 Once again, Lupita Nyong’o kills the red carpet in an ice-blue Prada that she helped to design. With her powerful performance in 12 years a Slave, she’s been a fashion forward fixture all awards season. Reblogged this on marvinenrique's Blog.